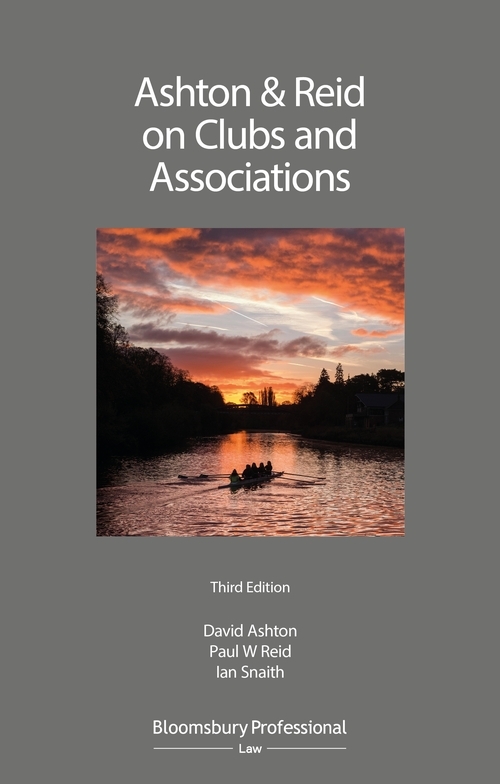 The diversity and complexity of the legal issues that can arise in the course of the activities of a club, society or association present numerous questions for those advising and managing those bodies for which they need guidance. Problems range from the interpretation of rules to anti-discrimination legislation. Legal issues can span alcohol licensing, charities, company law, employment law, expulsion procedures, litigation, meetings, promotion of lotteries, property law and taxation. Ashton & Reid on Clubs and Associations is the definitive guide to the legal framework within which clubs, societies and associations operate, bringing together the various strands of law (including new case law and recent legislation) to provide practical legal advice for these bodies, their advisers and officers. The work includes a full set of model rules as well as other useful material in the Appendices. David Ashton is a former deputy Master of the Queen's Bench Division of the High Court of Justice and was for many years Counsel to the Kennel Club. Paul W Reid is a Recorder of the Crown Court and was for many years Standing Counsel to the National Golf Clubs' Advisory Association. Ian Snaith is a consultant solicitor, a former Senior Lecturer at the University of Leicester, and the author of the leading textbook on co-operative and community benefit societies.